Are you able to kitesurfing and are you looking for a new exciting kiteboard or a new kind of kitesurfing? 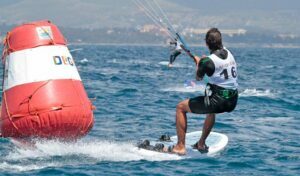 Hydrofoil and Race Kiteboard lessons in Sardinia of KiteGeneration are what you are looking for! The hydrofoil has become one of the most sophisticated forms of gliding through the water. The feeling of lifting onto a winged surface and riding in three dimensions unlocks new experiences and sensations that one is unable to achieve on traditional boards. Imagine the feeling of flying over the surface of the water with a direct connection to the conditions below. Experience a drastic reduction in drag and complete silence as your board lifts off the water. The hydrofoil offers a new feeling to the sport of kitesurfing and opens the sport to a much larger range of conditions. If you can keep a kite in the air, you can go out and ride. The dramatic increase in efficiency from a traditional board to a hydrofoil allows you to explore new areas and sensations. The sport is surprisingly easy to master and allows new challenges for maneuvers and speed. Don’t wait, try the Kite Hydrofoil Lessons by Kitegeneration! If you would like to experience the speed and competition, get our Race Kiteboard Lessons. 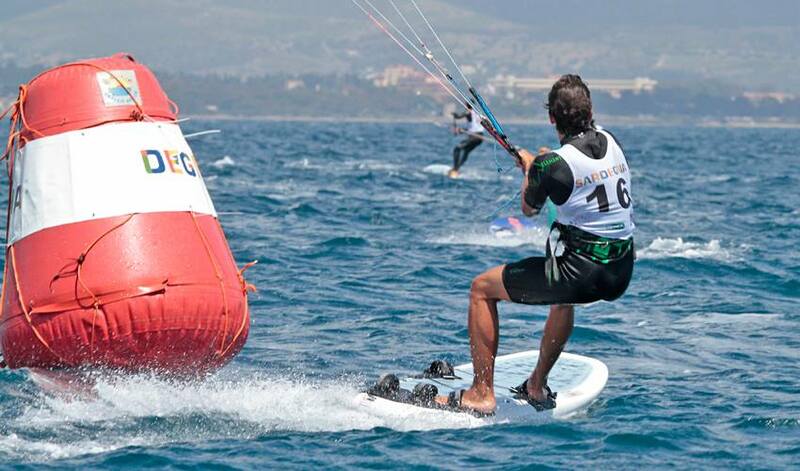 Kitesurfing should replace windsurfing at the Olympic Games. And the kite class that will replace windsurfing is Formula kite that use Race Kiteboard. For prices of Kitesurfing Lessons and Courses, Click here. To know where the lessons are taking place and to know about Kitegeneration, visit our home page.